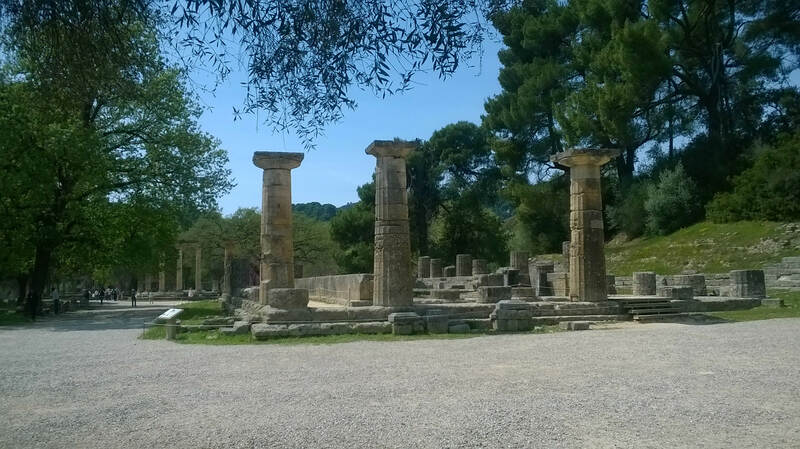 Olympia, one of the major archaeological sites in Greece, is situated between the River Alpheios and the River Kladeos, a place of outstanding natural beauty. 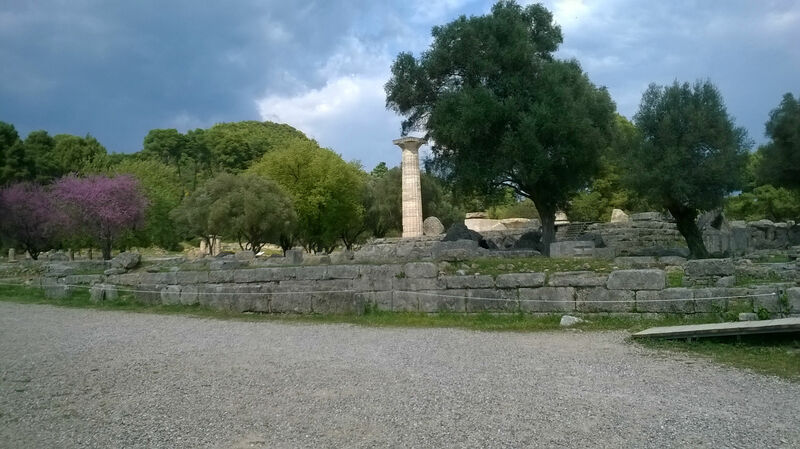 The Modern Olympic Games were inspired and named after the Games that used to take place there in antiquity. 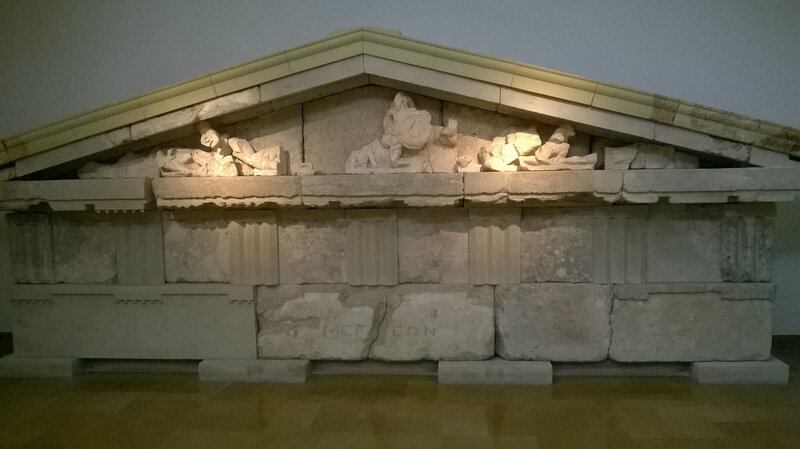 Although the Ancient Greeks never founded a unified nation state, they were aware of the fact that they were bound together by linguistic, religious and cultural ties: therefore, they used to organize athletic games and/or music competitions in order to honour their gods, in which only the Greeks could participate. 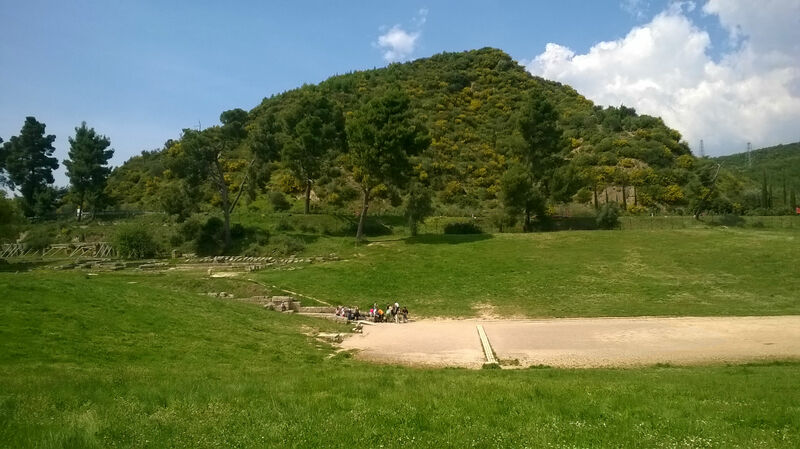 Those were the Olympic Games at Olympia, the Pythian Games at Delphi, the Isthmian Games at Isthmia and the Nemean Games at Nemea, held in honour of Zeus, Apollo, Poseidon and Zeus respectively. 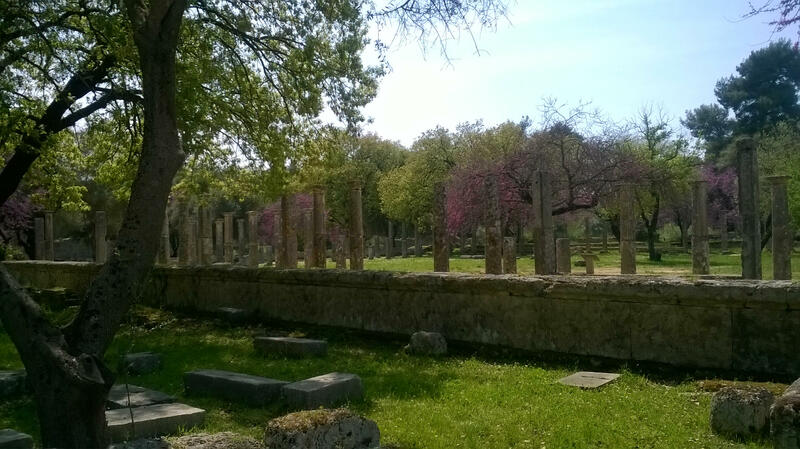 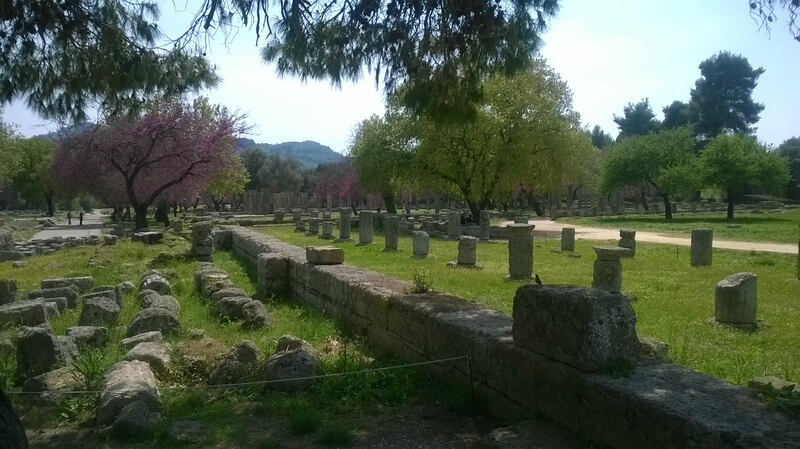 Consequently, Olympia was one of the main athletic, cultural and religious centres of the ancient Greek world for centuries. 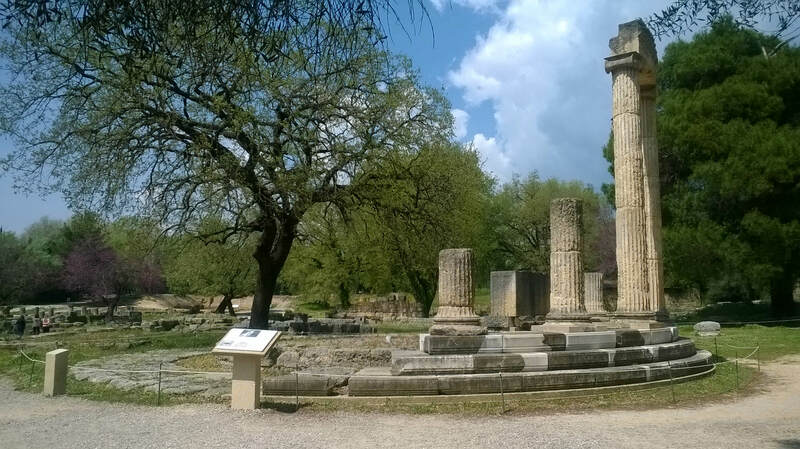 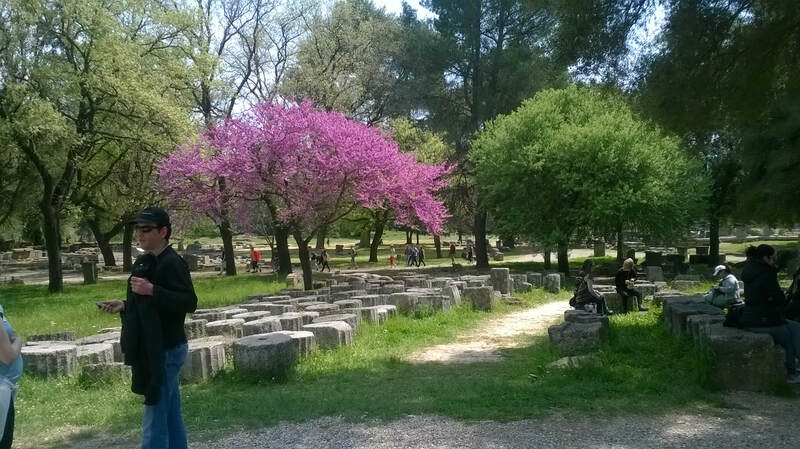 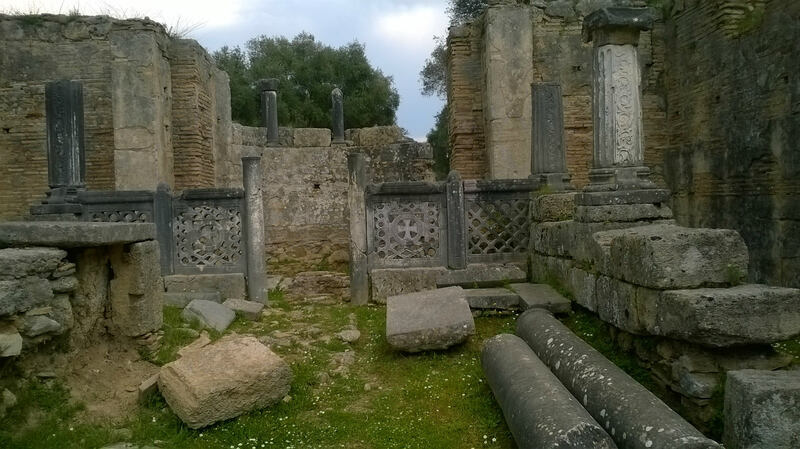 A guided tour of Olympia will give us the opportunity to discuss not only athletics in antiquity, but also the extent and the aspect of the ancient Greek world: an image that is totally different from modern Greece, as we know it. 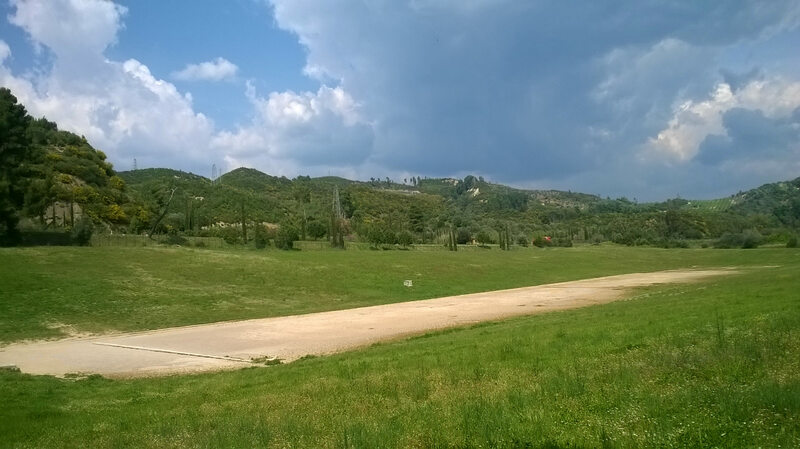 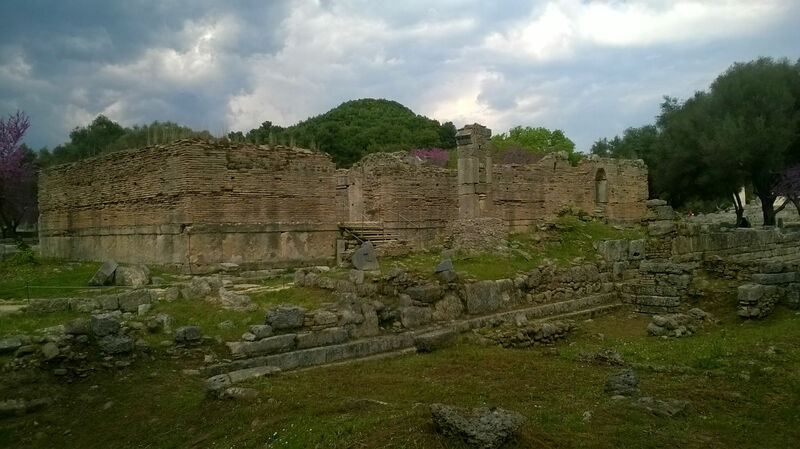 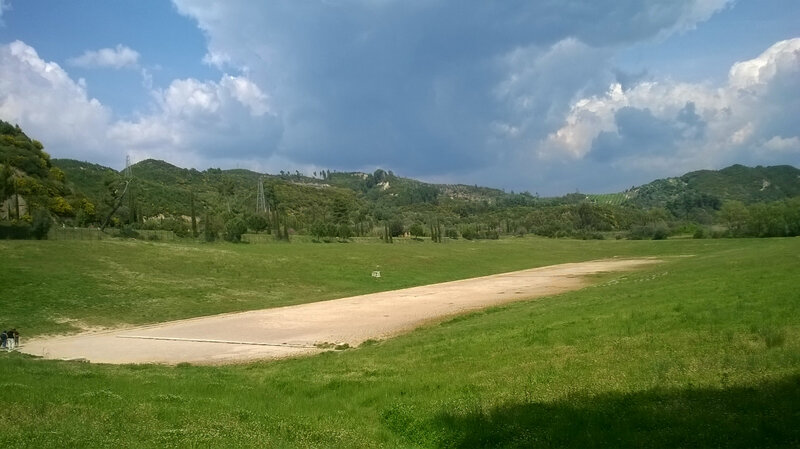 The main sights of the archaeological site are the Stadium, as anticipated, as well as the Temples of Zeus and Hera, the Workshop of Pheidias and the Roman Baths. 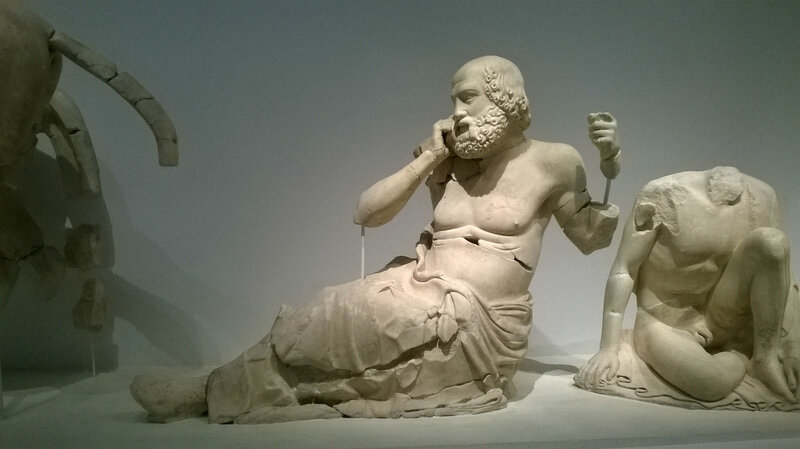 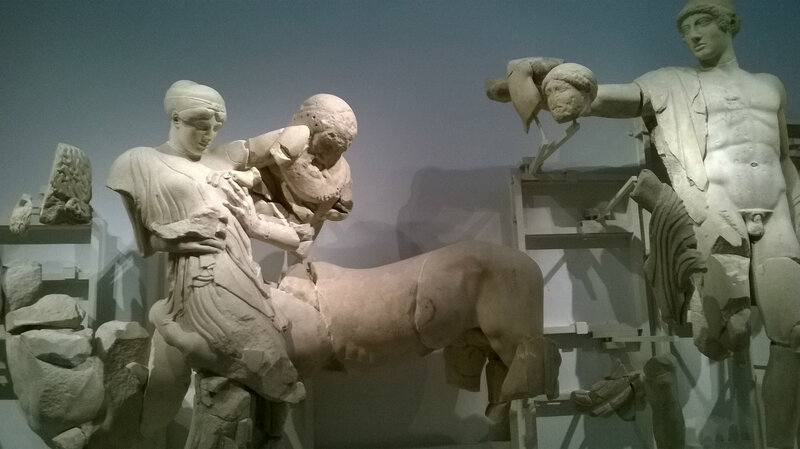 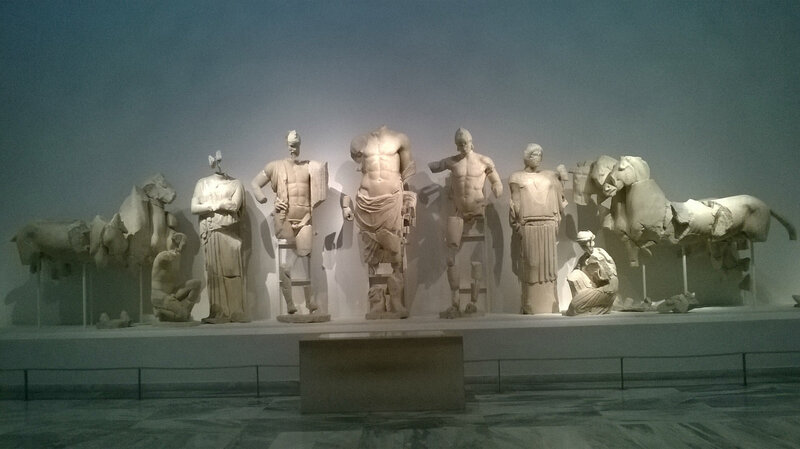 The Museum of Olympia houses a collection of masterpieces of Ancient Greek Art. 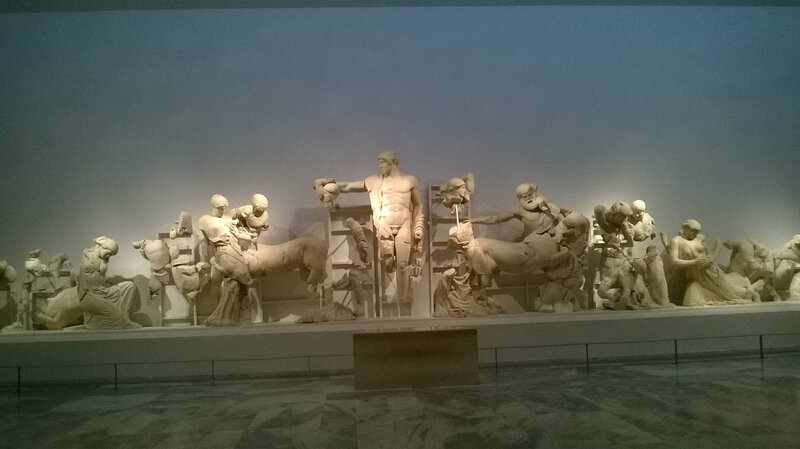 Among them, the pediment and the metopes of the Temple of Zeus, the Nike of Paeonius and the Hermes of Praxiteles stand out. 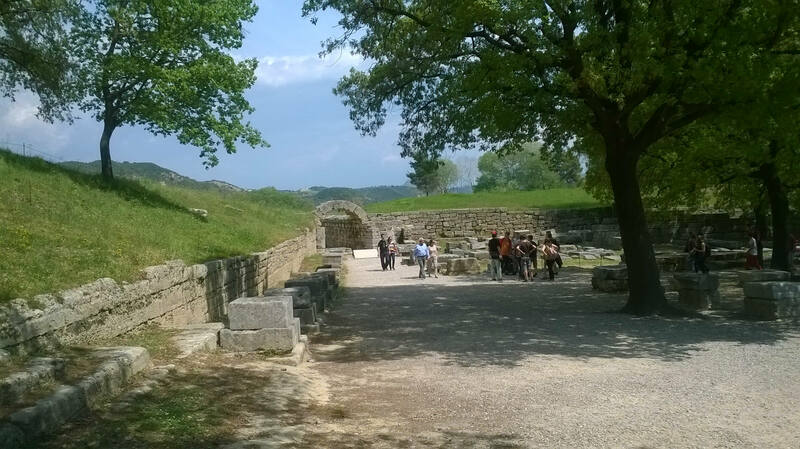 Meeting point: Entrance of the archaeological site.